The following is an interesting article from the Washington Post. This month, Francis makes his first trip to the United States at a time when his progressive allies are hailing him as a revolutionary, a man who only last week broadened the power of priests to forgive women who commit what Catholic teachings call the “mortal sin” of abortion during his newly declared “year of mercy” starting in December. On Sunday, he called for “every” Catholic parish in Europe to offer shelter to one refugee family from the thousands of asylum seekers risking all to escape war-torn Syria and other pockets of conflict and poverty. More often, dissent unfolds on ideological grounds. Criticism of a sitting pope is hardly unusual — liberal bishops on occasion challenged Francis’s predecessor, Benedict XVI. 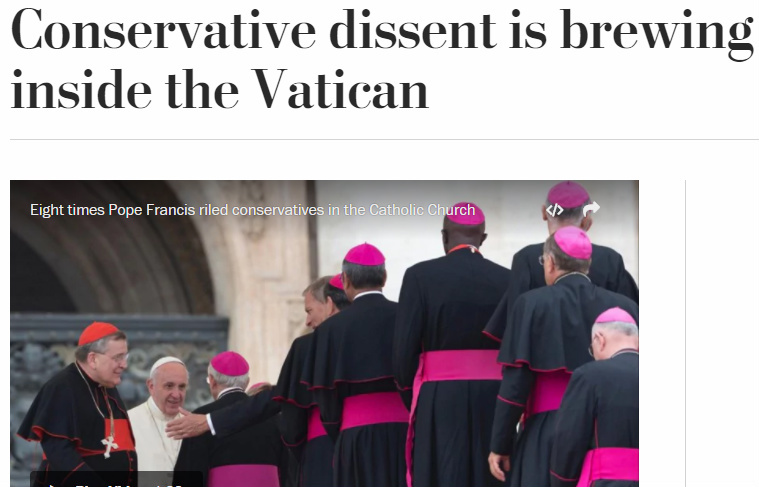 But in an institution cloaked in traditional fealty to the pope, what shocks many is just how public the criticism of Francis has become. What has Pope Francis actually accomplished? Here’s a look at 7 of his most notable statements.